Neha Soni from Indore, B.E. - B.Tech Graduate. 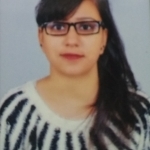 Neha Soni is Data Analyst and currently have no work experience.